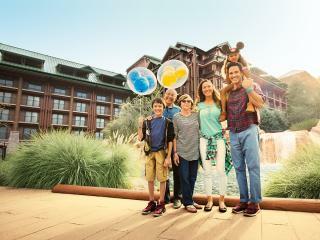 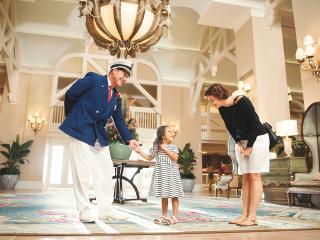 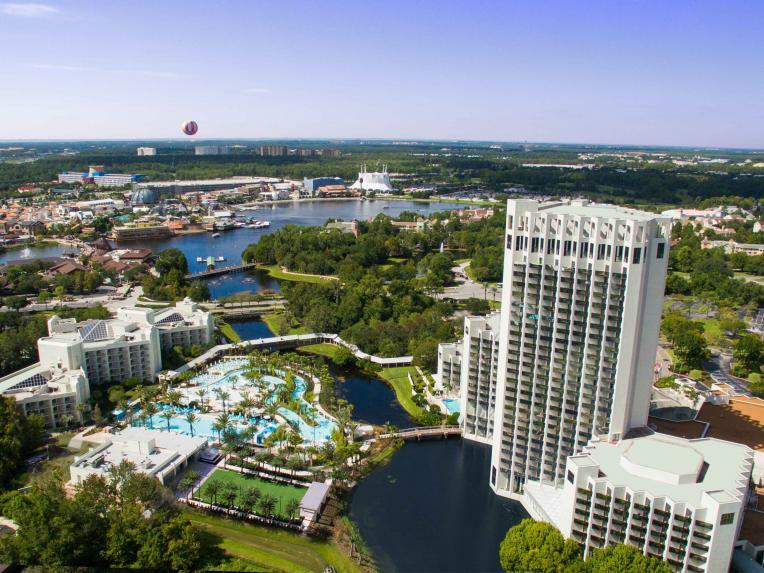 An official Disney Partner hotel offering guests exclusive theme park benefits including early park admission at Walt Disney World theme parks and access to the Disney FastPass+ reservation system up to 60 days before you arrive (and 30 days before offsite guests!). 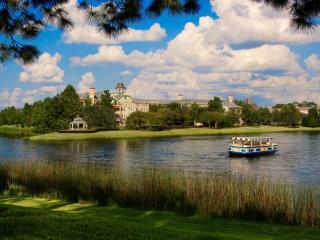 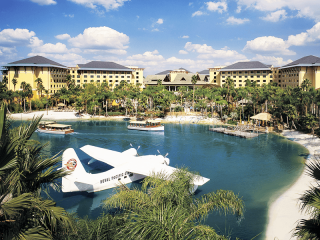 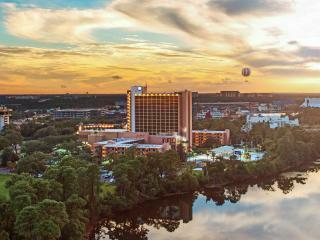 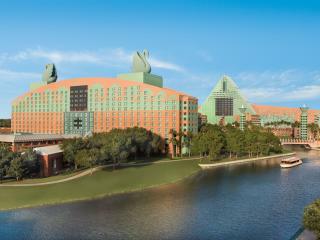 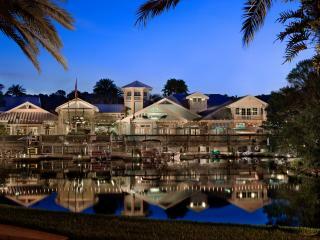 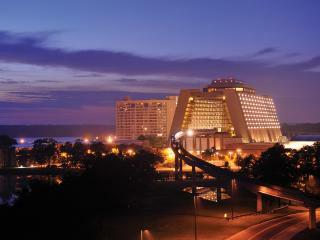 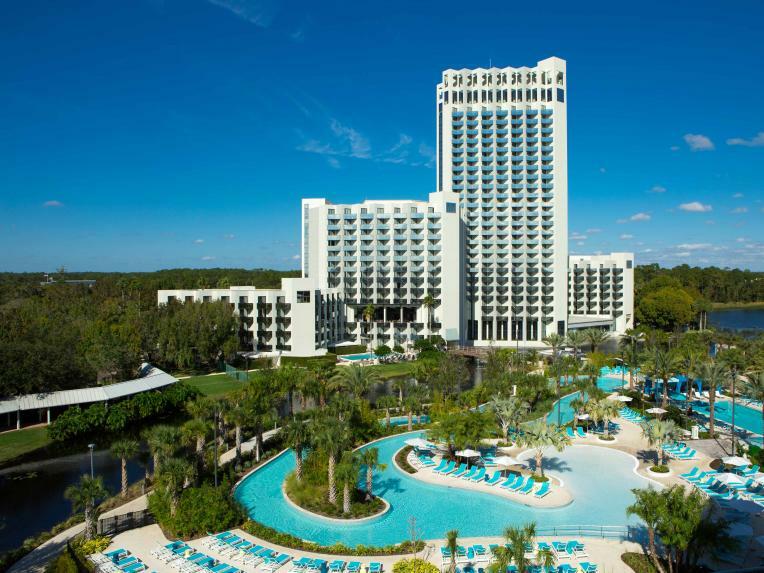 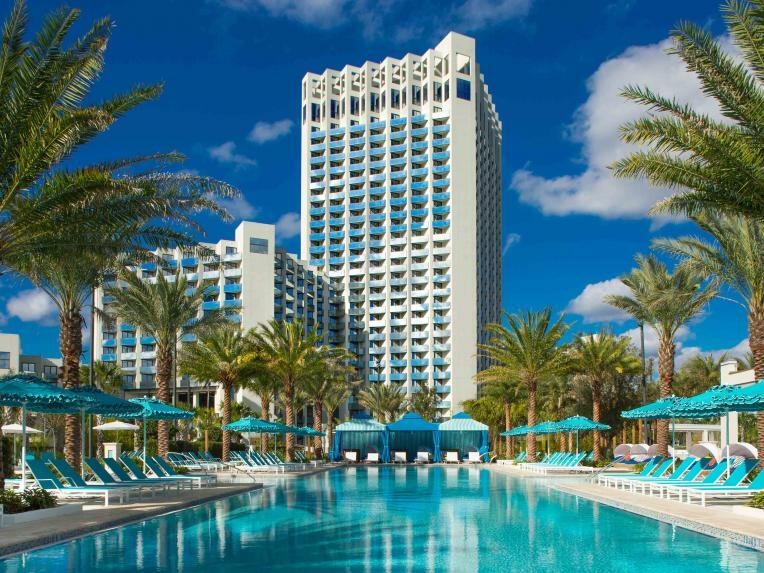 The Hilton Orlando Buena Vista Palace is set in a stunning lakeside location offering a relaxing oasis in the heart of Walt Disney World. 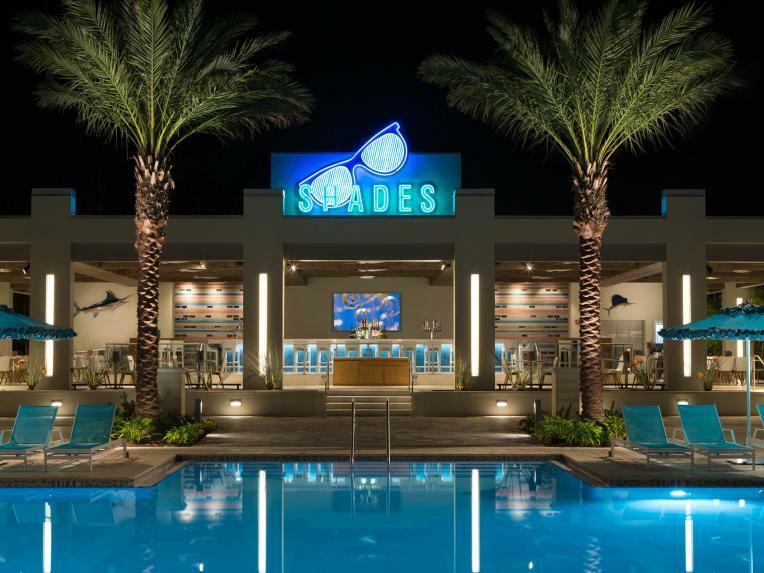 The star attraction is undoubtedly the gorgeous pool complex which features two large pools, including a beach-style lagoon pool, kid's pool, whirlpool tubs, private cabanas, a lazy river, firepits and pool bar and grill. 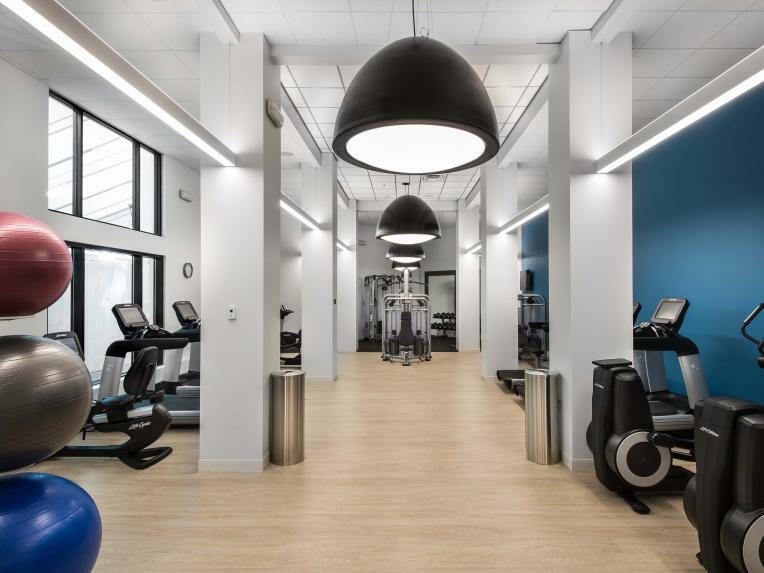 The active will also appreciated the large, modern fitness centre. 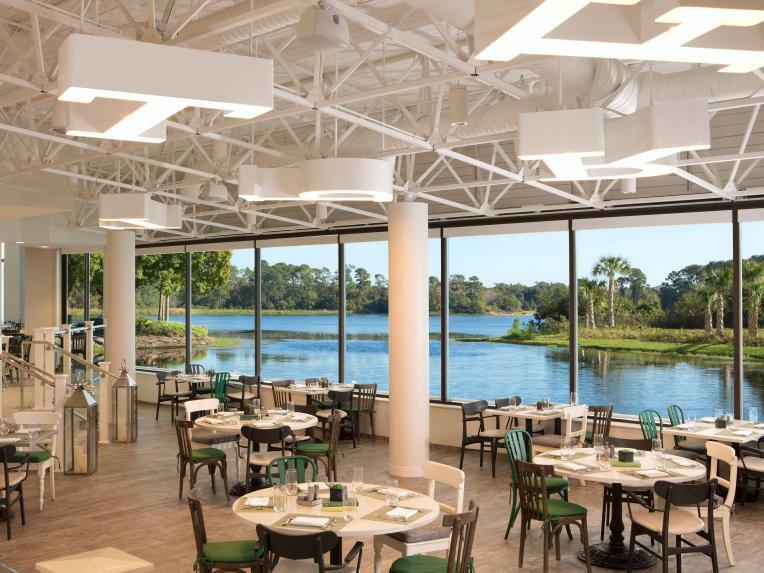 Dining options abound including Letterpress which offers incredible lake views and a menu that focuses on using fresh, locally sourced ingredients and breakfast with your favourite Disney characters every Sunday. 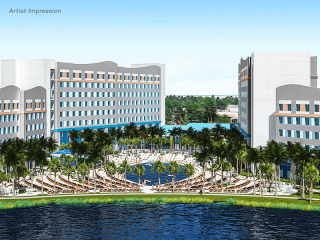 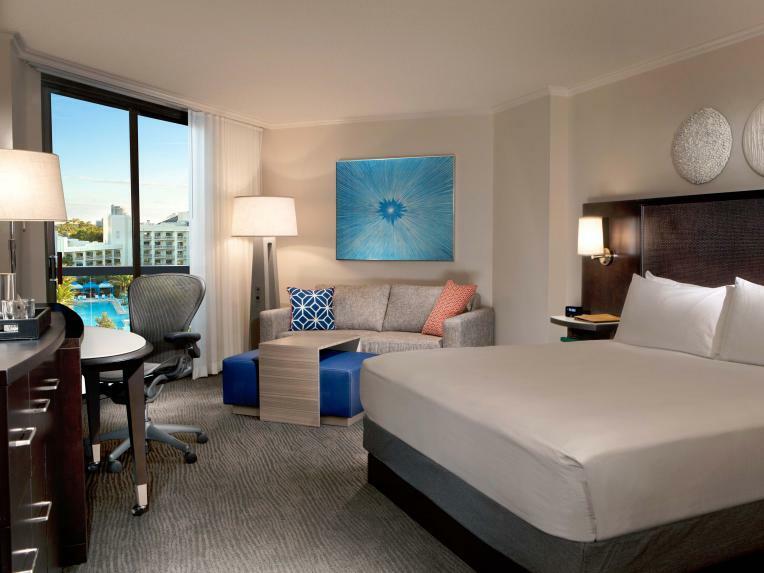 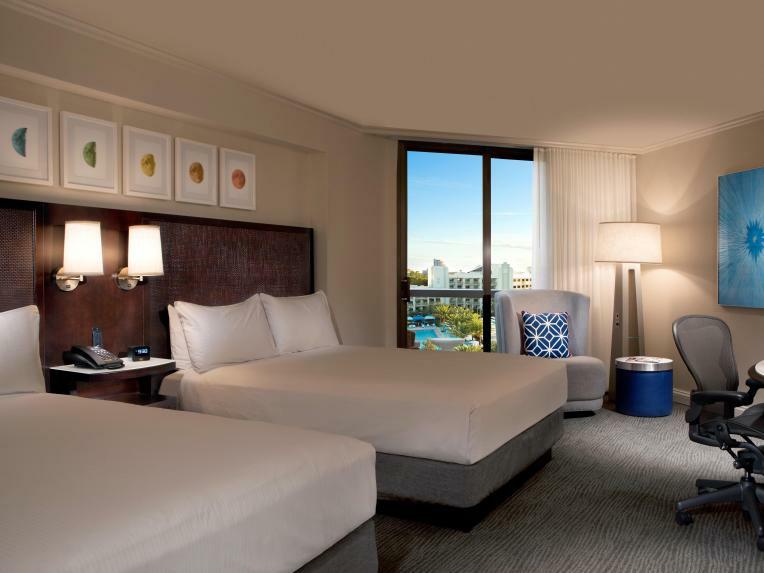 The newly renovated, sizable rooms offer the high level of modern comfort you would expect from a Hilton Hotel and feature private balconies to enjoy the stunning views over the lake and resort or Disney Springs and wider Walt Disney World Resort. 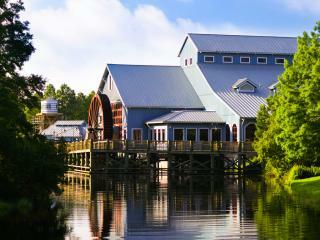 In addition guests can also Dine with Minnie and Friends on Sundays at Covington Mill. 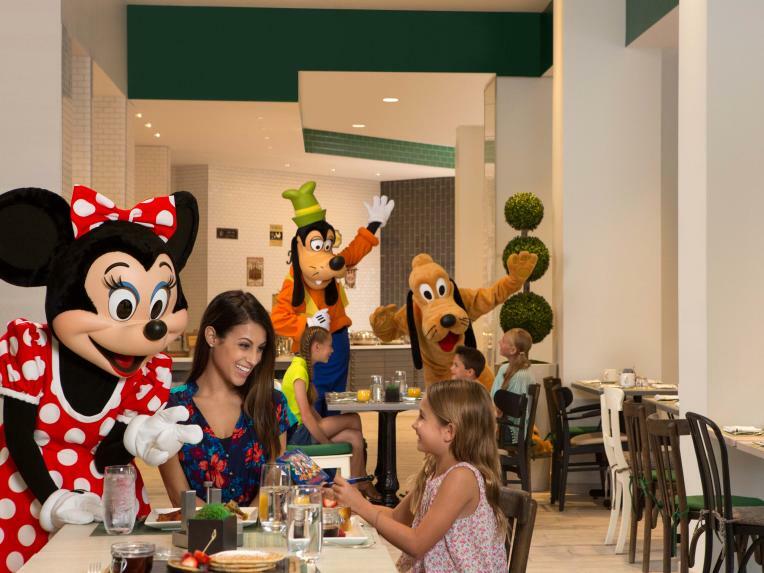 Kids will love this unforgettable character breakfast, complete with a made-to-order omelette station and waffles shaped like a very special Disney friend plus the chance to get autographs and take pictures with their favourite Disney friends! 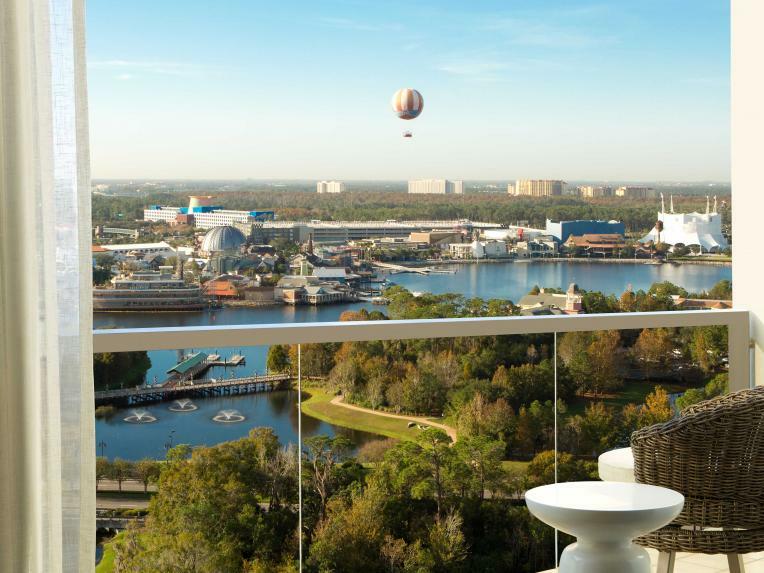 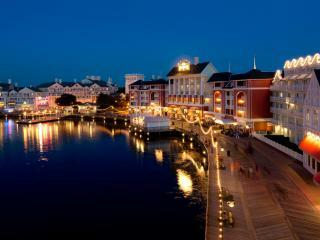 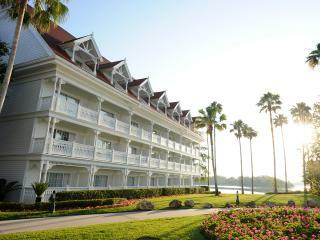 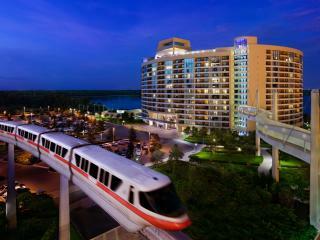 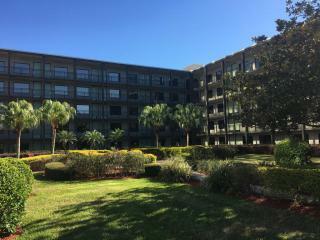 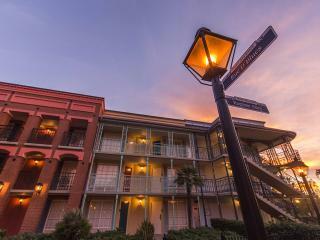 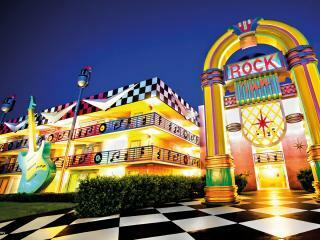 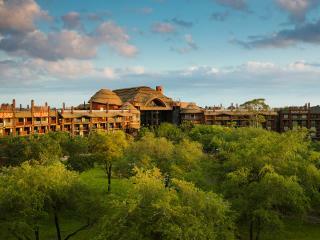 A few minutes walk from Disney Springs which can be reached by a pedestrian Sky bridge. 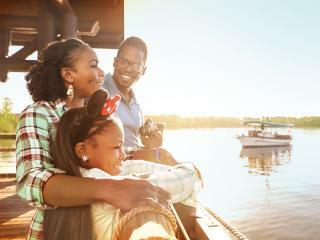 The main Walt Disney World Theme Parks are a few minutes drive on one of the complimentary shuttle buses that operate continuously throughout the day. 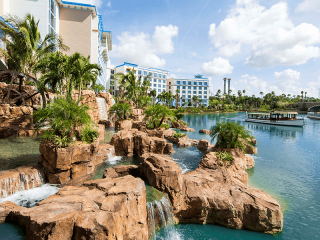 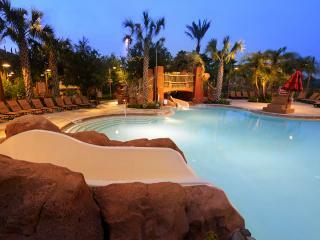 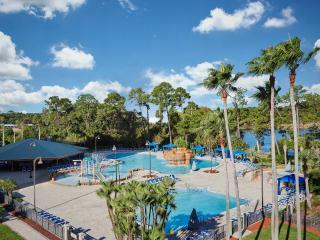 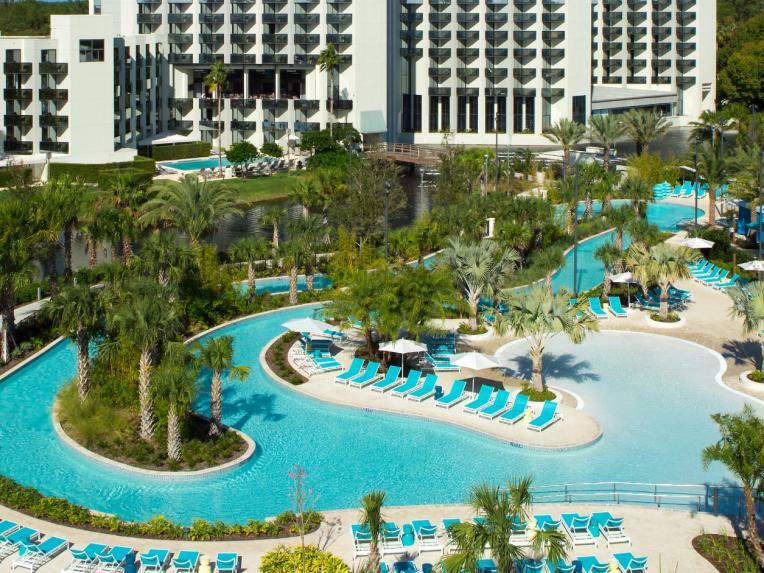 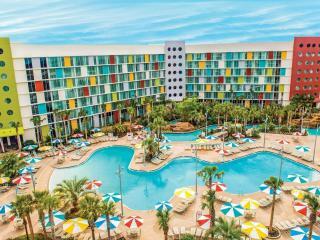 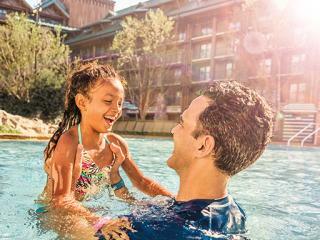 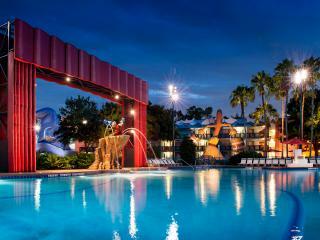 A spectacular oasis amongst the bustling Disney parks, this hotel features one of the best pool complexes with two large pools including a beach-style pool lagoon, private cabanas, kid's splash pool and it's own lazy river! 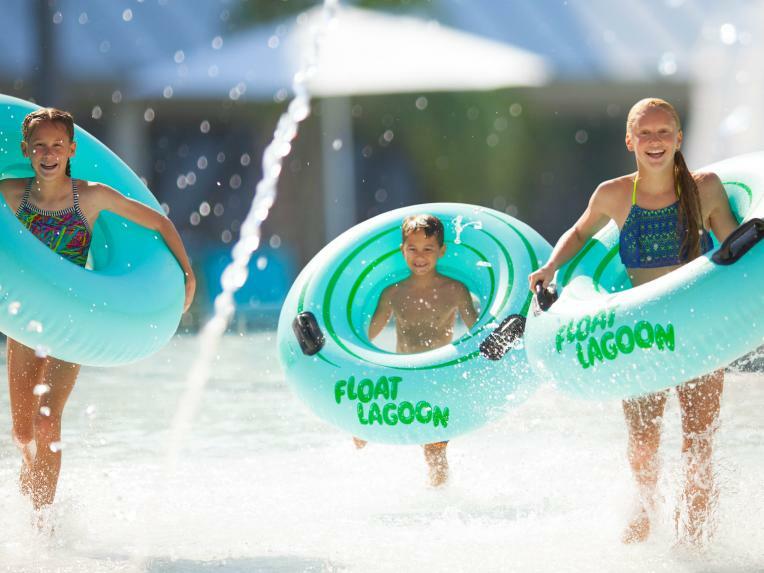 Don’t feel like zipping down water slides? 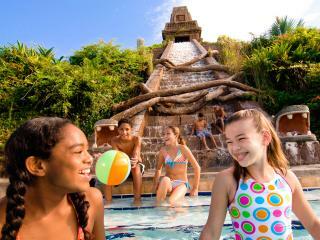 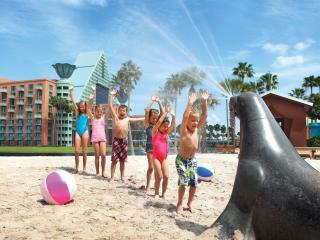 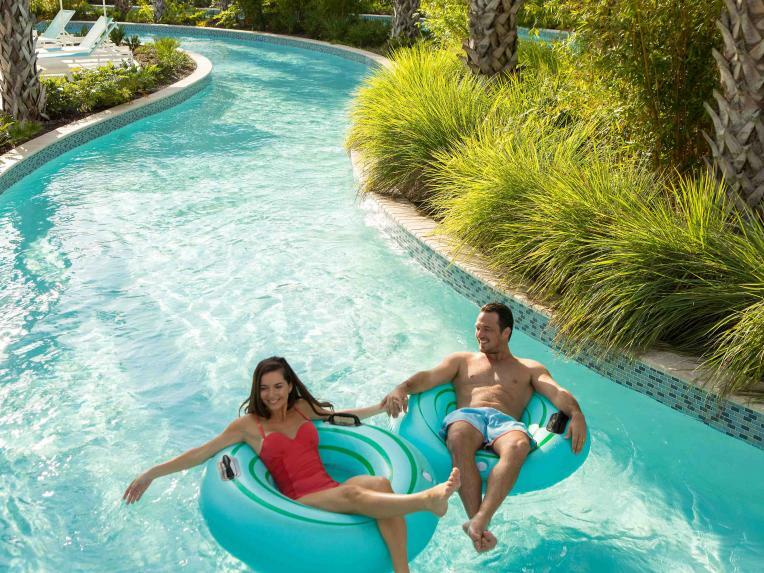 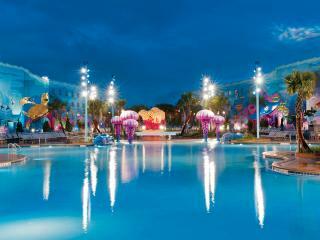 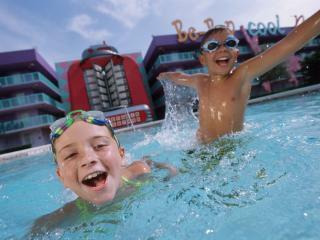 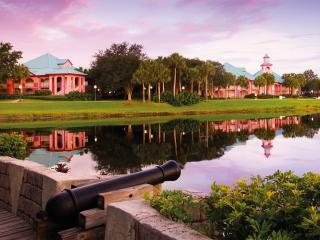 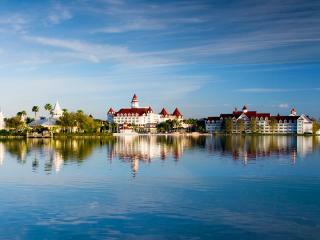 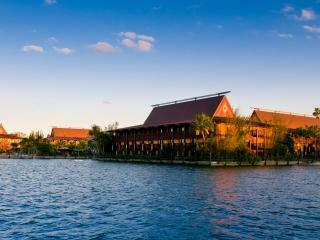 Both Disney Water Parks have ‘lazy rivers’ that circle the entire park – just hop in and relax! 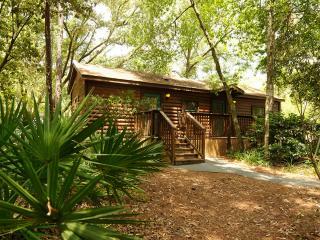 These are charges are payable locally and are subject to change. 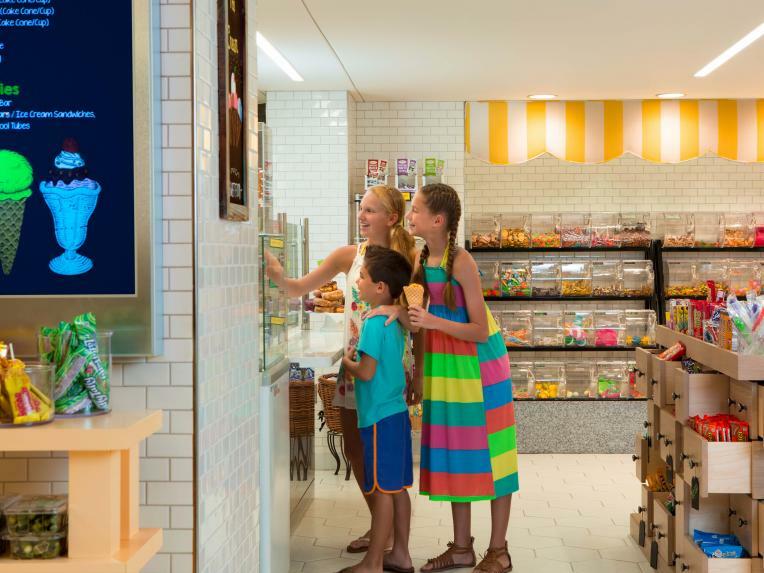 For those moments when you need to grab a quick meal, this is the place. 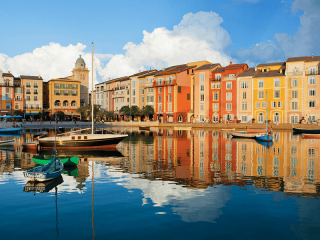 This gourmet market and café features Starbucks coffee, freshly prepared light meals, gourmet bites and freshly-prepared local favourites. Enjoy the eclectic feel of a modern printing shop while enjoying classic American fare. 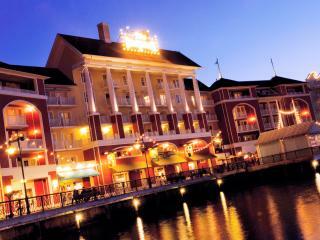 The hotel's newest restaurant features seasonal favourites and cooked to order omelettes for breakfast. 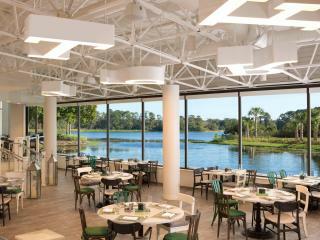 Lunch and dinner menus feature delightfully plated meals with locally sourced ingredients. 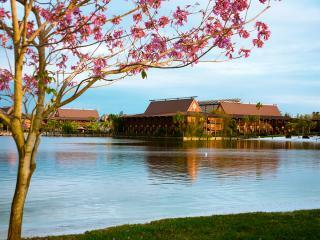 While you dine, enjoy the gorgeous views of Blake Lake, the new float lagoon and event lawn. 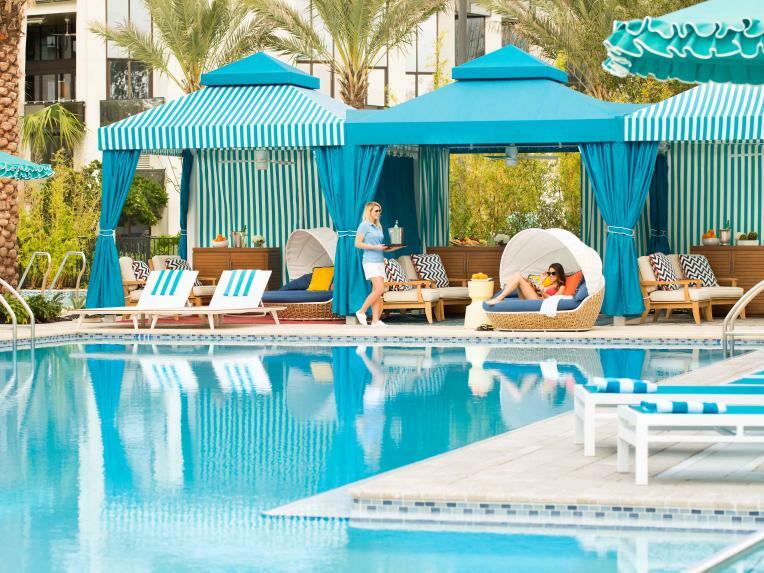 Pull up a chair and enjoy delicious poolside drinks and cuisine. 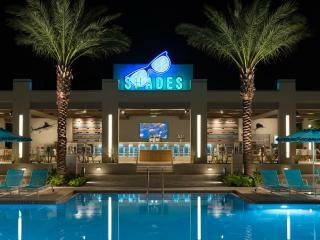 Shades serves fresh American fare, including the quintessential burger and fries, flat breads, wraps and more. 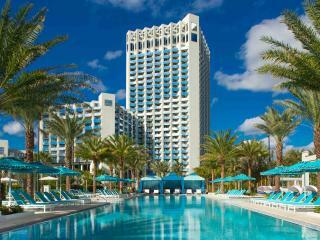 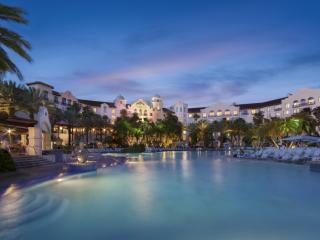 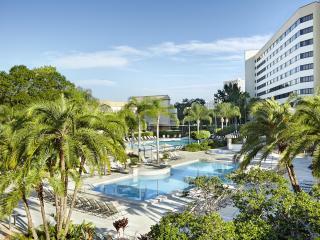 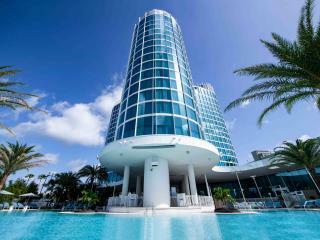 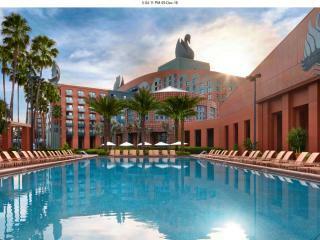 Enjoy a refreshing cocktail while lounging poolside in the Florida sunshine. 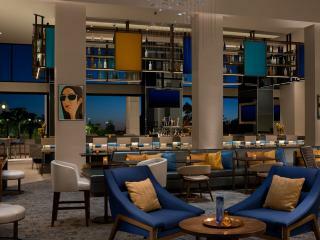 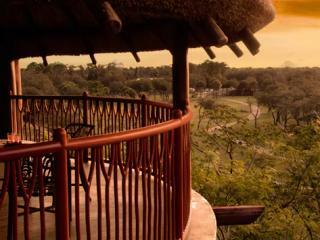 Just steps away from the main lobby overlooking the Float Lagoon, relax in this warm and inviting lounge. 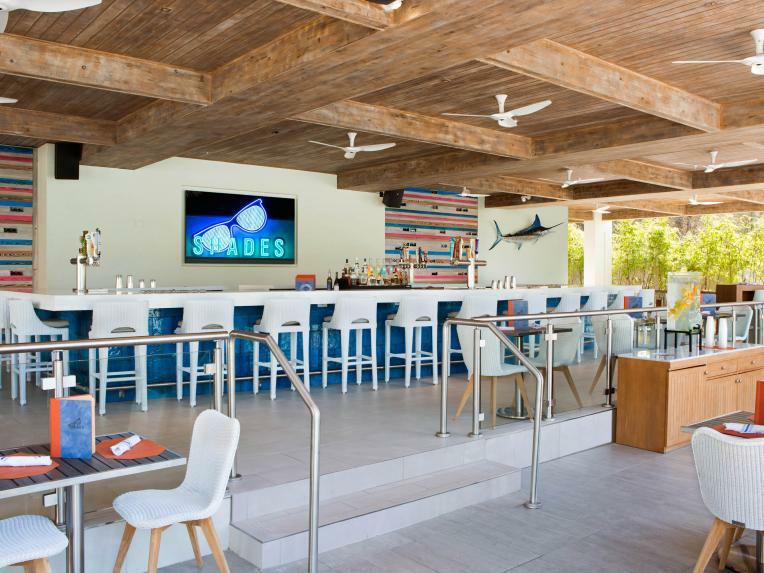 More than just a lobby bar, Sunnies is your escape into the essence of Florida with refreshing beverages and locally sourced seasonal fare.